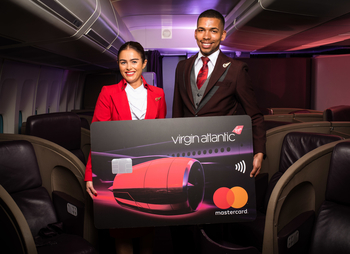 Announcing Virgin Atlantic and Virgin Money as the sponsors of the 2018 HFP Christmas Party – and more raffle prizes added! I’m delighted to announce that Virgin Atlantic and Virgin Money will be sponsoring the 2018 Head for Points Christmas Party, taking place on Tuesday night. Thanks to the generosity of both sponsors, all guests will now receive their first drink for free. And, as we covered in our other article today, the first of the refurbished ex-Air Berlin A330-200 aircraft have just entered service this week with new Upper Class and Premium seats. Whilst Virgin never expected to be flying these aircraft, the engine issues facing the new 787-9 fleet has meant that Virgin had to act fast to keep flying. This new product should do the job and it will be found mainly on the Caribbean routes. 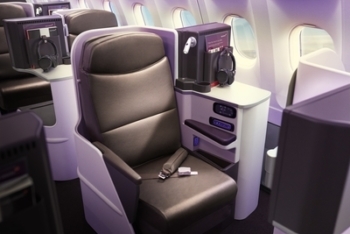 2019 will see the arrival of the first brand new Airbus A350 to the Virgin Atlantic fleet and with it a brand new Upper Class seat to take the airline forward into the new decade. Did I hear you mention ‘more raffle prizes’ too?! Enterprise Rent–A-Car – exact prize to be confirmed! …. so we’re up to 21 prizes now! 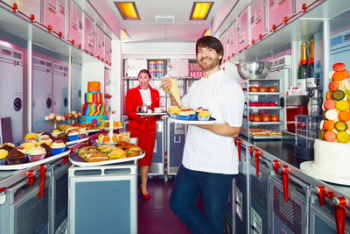 If you have a ticket, myself, Rhys (who has done a great job so far in putting the event together in Anika’s extended absence) and the Virgin Atlantic and Virgin Money teams look forward to seeing you on Tuesday night. 🤫 Shhh I got some of those HFP Xmas party tickets. Going to cost you.Meet me outside the venue & I will sort you right out. Looking forward to it. Hope I win the plane. If anyone that has a ticket cannot make it, I will be happy to buy it from you. Are you offering a happy ending too for that price? Shop small? and can I spread it over 15 cards? Do you still have the spare available? I used to find it easy to get Virgin UC redemptions, always booked as soon as they were released, but now it seems impossible. Got 500,000 miles but can’t use them. Has anyone else found the same? Of course, ask Mrs Burgess. She apparently has over a million of the things. Virgin need to up their ante on the UC seats before anyone wants to use them! 😂😂 Maybe in a couple of years, but watch your sell by date if you arent gold! And can’t use them, should have added. I also have two spare tickets for tomorrow. Please let me know! Does anyone know what the seating is like? My wife and I are supposed to be going together, but she can’t stand for long periods at the moment, so just trying to decide if we should get someone to come in her stead or not. It is a lot worse than the Melia last year, because that is normally a bar and has sofa seating. This is a function room and we are reliant on whatever chairs and stools are scattered around. Even then, it is not the same sort of environment as Melia unfortunately.